Universities across Britain have been contacted by a politician from Theresa May’s party demanding they disclose what they are teaching about Brexit. 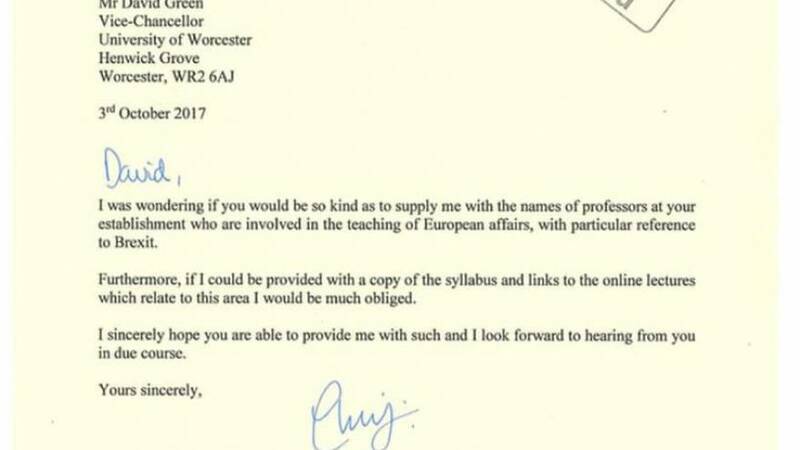 Chris Heaton-Harris, a Member of Parliament in the ruling Conservative Party, wrote to the heads of academic institutions asking them to give the names of anyone teaching about Britain’s decision to leave the European Union. He also sought information on what was being taught. Academics responded with astonishment at what many saw as a politically-motivated attempt to intervene in the education system. Shall we save them the admin?